With Prince Harry and American actress Meghan Markle getting married this weekend, all eyes are on the highly anticipated royal wedding. Markle’s hands-on approach in organising the wedding has taken the world by surprise, and details that have emerged about the upcoming nuptials make one thing clear: this royal wedding is going to be an unconventional one. While this weekend’s ceremony will be anything but typical, one area where it’s predicted to fall in line with current trends is its disregard for tradition. As more millennials get married, changing tastes and digital disruption are reshaping the billion-dollar wedding industry. 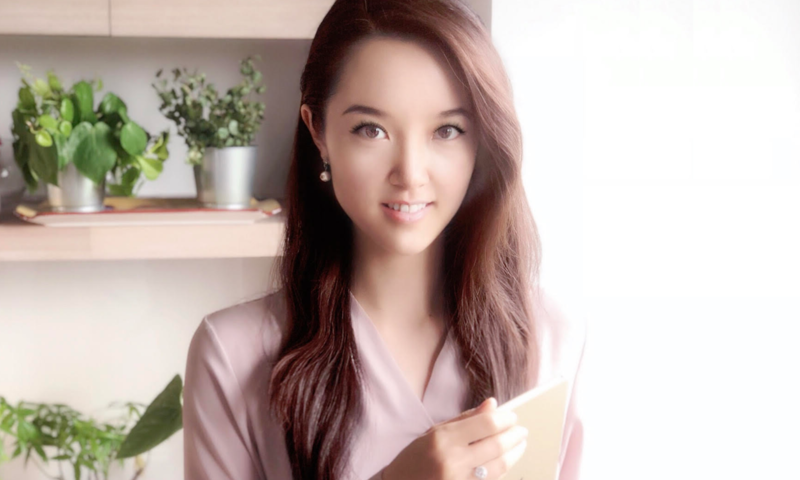 One of the online platforms that caters to this new market is Asia Wedding Network, founded by Generation T lister Michelle Yuan. The online platform allows couples in Asia to connect with wedding vendors in the region and provides brides and grooms with information, planning tools, and wedding inspiration. In light of the upcoming royal wedding, we spoke to Yuan about the the latest trends in the industry. Most people of marrying age are now millenials. What are the most apparant shifting trends in the wedding business? Instead of organising one big wedding and inviting everyone they know to the same ceremony, many millennial customers are opting for two weddings nowadays; one being a destination wedding, and the other being a traditional banquet where their relatives and business partners are invited. As the destination wedding is often enjoyed with friends, couples usually have more flexibility in terms of the party size and theme. They can let their creativity run wild. How is Asia Wedding Network adapting to the shifting demands from customers? The reliability of vendors is a concern as couples often turn to online search engines for their research. This is exactly why I started Asia Wedding Network. I want to help connect couples with reliable overseas vendors in destinations such as Phuket, Bali, Koh Samui and more. We also help negotiate with vendors so couples can have their dream wedding come true without worrying about issues like language barriers. And what are the wedding trends in Asia that never change? Many couples in Asia still like a Western-style wedding with rustic and bohemian themes. But nowadays, we also see many couples in Asia honouring their roots by implementing their own cultural traditions. Where will the multibillion-dollar wedding business be in the next five years? What can wedding professionals do to stay relevant? A big trend we’ve been seeing is that brides no longer only go to brick and mortar stores to buy their wedding dresses. Many millennials have developed trust in e-commerce and are more willing to make purchases online. Fashion brands have also adopted this trend by launching bridal collections online, such as J. Crew, BHLDN, and Revolve. If companies want to stay relevant, they definitely need to be aware of this e-commerce takeover in the wedding industry. The royal wedding is coming up—what elements from the wedding do you anticipate to be the hottest wedding trends this year? Meghan Markle has taken a hands-on approach in the wedding planning process. For example, their wedding photographer was discovered by Markle on Instagram. In fact, many details of the wedding are very personalised. Markle also found most of the wedding vendors they are using herself, including the baker for their wedding cake, Claire Ptak of Violet Cakes, whom Markle previously interviewed for her lifestyle blog. How can couples include elements of the royal wedding on their big day? It’s been rumoured that the designer for Markle’s wedding dress is Ralph & Russo. But then again, she might not do what people expect, she might surprise people with a not-so-royal wedding dress. In terms of flowers, the couple has gone with floral designer Philippa Craddock. If you want a royal wedding-inspired bouquet, go for the same flowers Prince Harry and Meghan Markle have chosen for their wedding: white garden roses, peonies, foxgloves and branches of beech, birch and hornbeam. When it comes to location, there are many regal wedding venues with large chandeliers and a big reception area that will be perfect for a royal wedding-inspired wedding. I am in the process of planning my own wedding, and I’ve been looking at Mandarin Oriental, which usually has very elegant spaces.